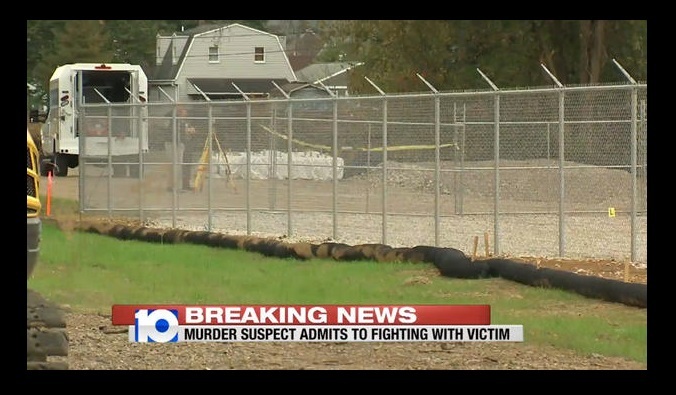 The body of an Ohio woman was found hanging from a fence in what witnesses thought was a grisly Halloween prank. 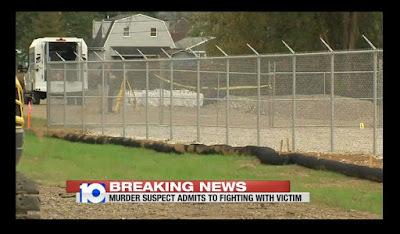 A Fencing contractor discovered the woman's body was impaled through her shirt sleeves from a fence on a residential street in Chillicothe, Ohio and initially thought the body was a Halloween decoration. At a news conference Wednesday, police identified the murder victim as 31-year-old Rebecca Cade -- a life-long resident of the community -- and said she died from multiple blunt force trauma injuries to her head and neck. Police confirmed that 27-year-old Donnie Cochenour was arrested and charged with the murder. He is currently in on jail on a $2 million bond. Police Chief Keith Washburn said it appeared Cade fought her attacker and that investigators found the suspected murder weapon -- a bloody rock about the size of a grapefruit, the station reported.